The ADS8508 is a complete 12-bit sampling analog-to-digital (A/D) converter using state-of-the-art CMOS structures. 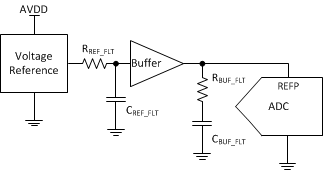 It contains a complete 12-bit, capacitor-based, successive approximation register (SAR) A/D converter with sample-and-hold, reference, clock, and a serial data interface. Data can be output using the internal clock or can be synchronized to an external data clock. The ADS8508 also provides an output synchronization pulse for ease of use with standard DSP processors. The ADS8508 is specified at a 250-kHz sampling rate over the full temperature range. Precision resistors provide various input ranges including ±10 V and 0 V to 5 V, while the innovative design allows operation from a single +5-V supply with power dissipation under 100 mW. The ADS8508 is available in a 20-pin SO package, fully specified for operation over the industrial -40°C to 85°C temperature range.